Skin Cancer is a very serious concern for patients in Colorado. Our increased altitude and high UV index put Coloradans at an even higher risk for developing skin cancer. When it comes to treatment, Mohs Surgery is the only treatment that ensures complete removal of cancer, virtually eliminating the chance of the cancer growing back. 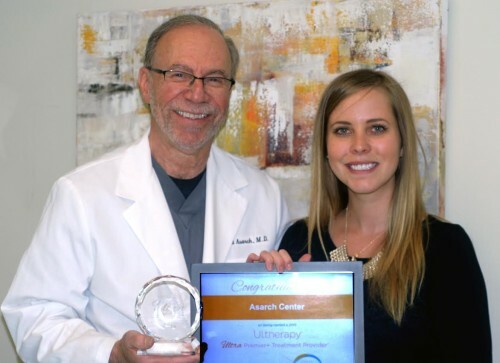 The Asarch Center is the Leader in Mohs Surgery in Colorado. Dr. Richard Asarch and Dr. Twede have successfully performed over 30,000 Moh’s Surgery Procedures for the treatment of skin cancer. Initially developed by Dr. Frederic E. Mohs, Mohs is the most effective procedure for treating basal cell and squamous cell skin cancers, with the highest success rate of all skin cancer treatments. Mohs allows surgeons to identify and remove tumors one layer at a time while preserving as much healthy tissue as possible, minimizing discomfort and recovery time as much as possible. 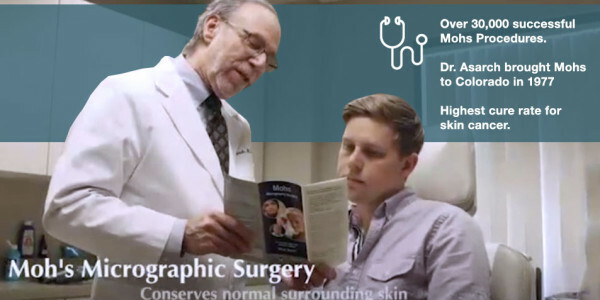 Mohs Surgery is a groundbreaking, intricate, highly-effective method of curing skin cancer. Its 99.9% success rate speaks for itself. At Asarch Center, we pride ourselves in being one of the premier Mohs surgery providers in the region. Dr. Richard Asarch was the first to bring the surgery to Colorado, and with over 30,000 procedures performed, he’s the best choice for your Mohs treatment. What Cancers Can Mohs Treat? Mohs surgery offers the highest cure rate among treatments for skin cancer and can be used for practically any type of skin cancer. If you think you have skin cancer, book a consultation with us today, or read our helpful blog with several different pictures to help you decide if your mole is healthy or not. Many patients are referred to Dr. Asarch by their current physician for concerning lesions or if a biopsy has shown them to have skin cancer, but this is not a requirement. Any patients can contact the Asarch Center to make an appointment to evaluate suspicious skin lesions or to consult with Dr. Asarch about the Mohs procedure in more detail. How Does Mohs Work to Treat Skin Cancer? Mohs surgery is unique and so effective because of the way the removed tissue is microscopically examined, evaluating 100% of the surgical margins. How Can I PREPARe FOR MOHS SURGERY? The Asarch Center performs Mohs Micrographic Surgery as an outpatient procedure in our office, with each patient having a private surgical suite. Our on-site laboratory allows for immediate preparation and microscopic examination of tissue. Since the entire procedure is performed by Dr. Asarch in our own office, other than avoiding non-medically-indicated blood-thinning medications (Aspirin, vitamin E, fish oil, ibuprofen, etc) no other preparation is necessary. There are no eating restrictions as only local anesthesia is used. You may wish to have someone accompany you to the surgery to chat with during the procedure and to take you home, but it is not required. We recommend you bring a book or any other form of entertainment that is quiet and can reside in your lap. This is especially helpful when you are waiting between the surgical stages. We also recommend you dress comfortable and consider bringing a sweater for added comfort. Since we do not know in advance how much time will be required to remove your tumor and reconstruct the wound, we ask that you make no other commitments and be prepared to be in the office most of the day. After you sign a procedure consent form, you will undergo a numbing process with an injectable anesthetic. Once the area is numb, a thin incision will be performed around the visible skin cancer. Bleeding is normal during this process and, if encountered, electrocautery is often utilized to stop the bleeding. A temporary dressing will be placed over the wound. The tissue will then be prepared and taken to the lab for processing. Removal of the initial piece of tissue takes only 10-15 minutes. However, it may take 1 hour or more to prepare and microscopically examine the tissues with each stage. Several surgical stages may be necessary to completely remove the tumor. Since it is often not possible to know the extent of skin cancer until it is examined microscopically, it is not possible to know how many stages your skin tumor will require. However, most are removed in three stages or less. Usually, the Mohs process is completed within three to six hours, but in rare circumstances, surgery may take longer. Mohs has a considerably short recovery time compared to similar procedures. After the procedure, we ask that you go home and rest and that you do not return to work or other activities for the rest of the day. 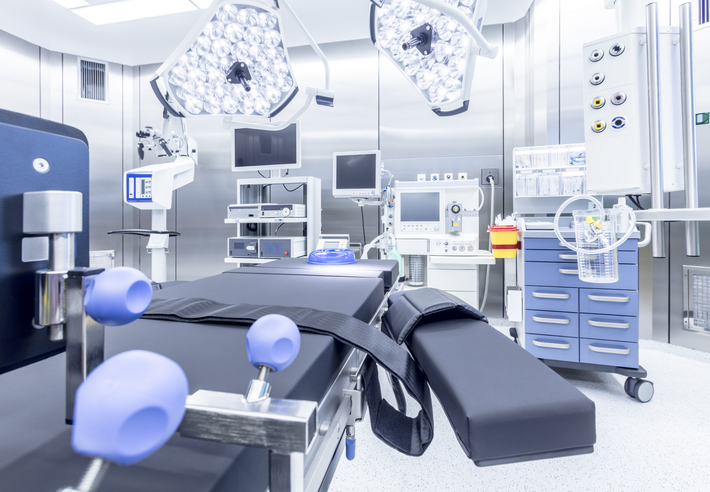 Exercise should be avoided for the first 2-7 days after surgery, but you will be given specific restrictions that will depend on the location and extent of your surgery. Mohs surgery is an outpatient procedure and does NOT require hospitalization, except in very rare instances. If the wound is sutured, these will be removed in seven to ten days with minimum restrictions during that time. If not, a normal healing time, as with any other cut on your body, is all that is required and can vary from patient to patient. There may be other appointments scheduled to assess your progress and healing. It is also imperative you continue to follow up with your referring medical provider to evaluate your skin for other skin cancers. Will I Have Any Scarring After Mohs Surgery? As will any skin cancer treatment, Mohs surgery will leave a scar. However, Mohs surgery preserves as much healthy skin as possible and maximizes your options for repairing the surgical defect once the tumor is completely removed. Once Dr. Asarch has completely removed your skin cancer through Mohs surgery, reconstruction for optimizing the final functional and cosmetic result becomes the highest priority. Generally, a post-surgical scar improves with time and can take up to 1 year or more to fully mature. As your surgical site heals, new blood vessels can appear and support the healing changes occurring underneath the skin. This can result in the reddish appearance of the scar, but it is only temporary and will improve with time. In addition, the normal healing process involves a period of skin contraction, which often peaks 4 to 6 weeks after the surgery. This appears as a bumpiness or hardening of the scar. On the face, this change is nearly always temporary and the scar will soften and improve with time. If you have a history of abnormal scarring, such as hypertrophic scars or keloids, or if there are problems with the healing of your scar, injections or other treatments may be used to optimize the cosmetic result. Dr. Asarch is available for you throughout the healing process to discuss any concerns that may arise. Why Should I Choose Dr. Asarch for My Mohs Surgery? Dr. Asarch is Colorado’s First & Most Experienced Mohs Surgeon. Dr. Asarch received his specialized training with Dr. Mohs in 1977 and has performed over 30,000 procedures utilizing this technique for the removal of skin cancers. Dr. Asarch was the first doctor to bring this wonderful surgery to Colorado, and only in the last several years has the technique become widely available throughout the country. In 1981, he was recruited to create the dermatologic surgery program in the Department of Dermatology at the University of Colorado, which included utilizing the Mohs procedure. Is Mohs the Most Cost-Effective Option? Mohs Micrographic Surgery is the most cost-effective treatment for skin cancer. According to an article published in the April, 1982 issue of Dermatologic Surgery, Mohs Micrographic Surgery is the most cost-effective treatment for skin cancer. Mohs surgery offers low recurrence rates, smaller defects (resulting in simpler, less-costly repairs), and overall cost efficiency. The common misconception of Mohs surgery being an expensive option has its roots in the poorly-understood factor that the procedure includes costs of surgical excision, histology preparation, and pathology when in reality it’s a simple in-office procedure. 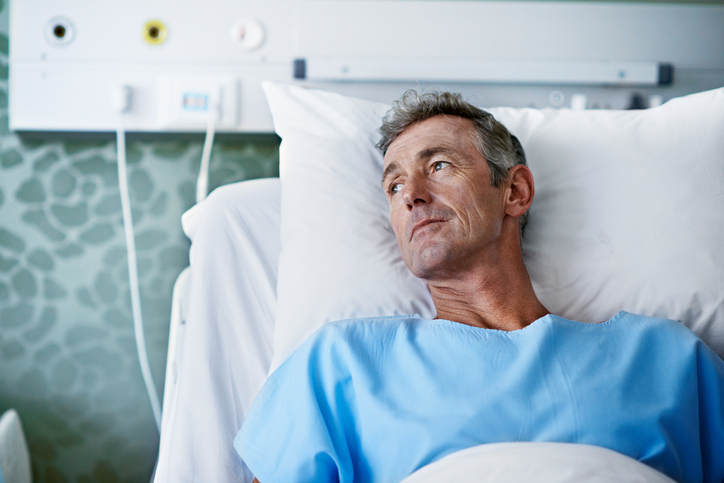 Infection: Mohs surgery has a historically low 1-2% risk for infection. After your surgery, we ask that you look for signs and symptoms of infection that include redness extending ½ inch from the wound margin, drainage of pus, warmth, and pain. Please inform us if this occurs. Bleeding: During the procedure, electrocautery and suturing may be used to stop the normal bleeding. Occasionally, a blood vessel will reopen and bleed many hours after the procedure. If you develop an oval bump or “knot” within the surgery site within the first 24-48 hours after the surgery please let us know right away. Pain: Most patients have minimal pain after the procedure, often only requiring acetaminophen for pain control. If you have a particularly low tolerance for pain or have had significant pain with similar procedures in the past, please let us know so appropriate pain control measures can be provided. Scar: Drs. Asarch and Twede will evaluate and customize the most appropriate repair technique to minimize your scar. Wound reconstruction options include suturing the wound, allowing the wound to heal on its own, and using a skin graft. If you are considering Mohs Surgery, please contact Asarch Center for Dermatology, Laser, & Mohs Surgery. Call us at 303-761-7797 to schedule a consultation. Our practice serves Englewood, Lakewood, Castle Rock, and surrounding areas in Colorado.